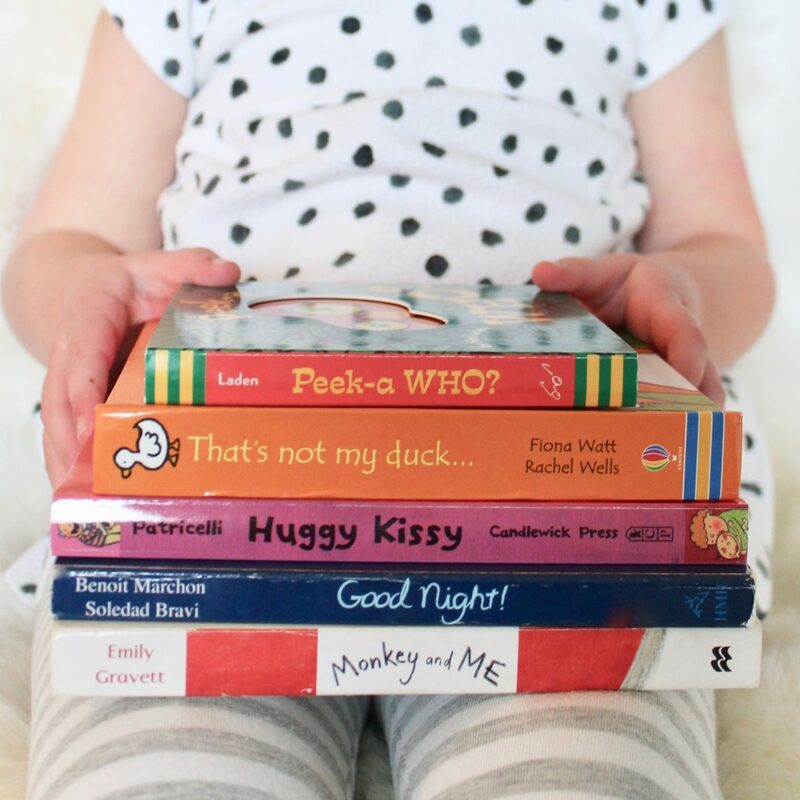 Last month, I shared tips for encouraging baby development through black and white books and images. As promised, the next post in my series of encouraging literacy through the ages relates to toddlers. This group of 1- to 3-year-olds is at a wonderful stage of discovery and the perfect age for introducing the importance of books. Like babies, toddlers are developing skills and constantly learning. At this point, they are starting to form words and will eventually work their way up to phrases. Therefore, it is a great time to ensure they are able to thrive by sharing a love of reading and surrounding them with an array of age-appropriate materials. After two kids, I have observed a couple patterns emerge with this age group when it comes to reading. First off, their attention span is uber short. I know, I know, this comes as no surprise to any moms or dads out there with a toddler in their house. They are able to sit for a such a short amount of time before they get distracted by something and move on. So the key is picking out board books they can hold onto which are heavy on pictures, low on the text, and a maximum of a couple dozen pages. Secondly (and this may also not be surprising to hear if you have ever picked up a book aimed at 1- or 2-year-olds), these kids love repetition. There is something about the same thing being repeated page after page. What is also great about a repetitive dialogue is that before long, you may notice your child starts “reading” the books on their own. 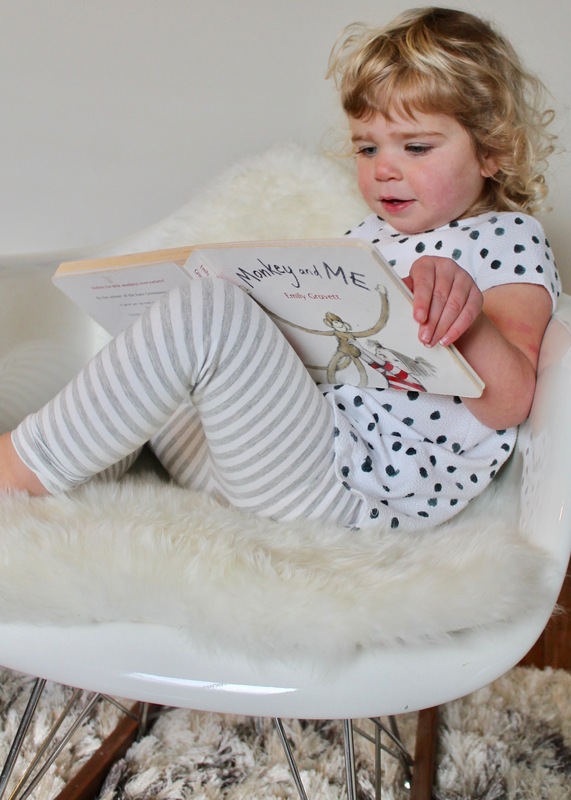 I often find my daughter curled up in her room, enjoying following along with books that we have read together if they have a redundant language she remembers. 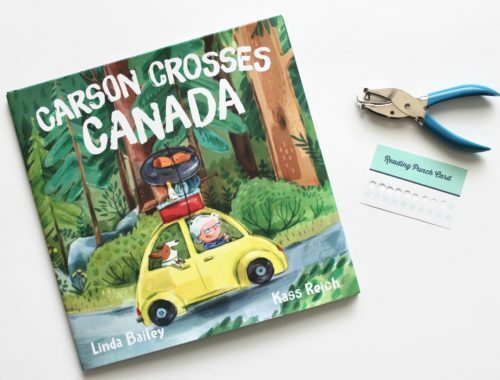 With these things being noted, I would now love to share some authors we are fans of in our house and the books they have written that are perfect for your budding toddler readers. I first came across author Nina Laden when my son was gifted one of her book’s “Peek-a-Who?” when he was born. Ever since, we have probably read it hundreds of times, and I have gifted it to a few new moms. Now the kids take turns reading it to one another! The bright visuals and rhyming text makes it a great addition to your family’s collection. Laden’s other title “Choo-Choo” is also a favorite. 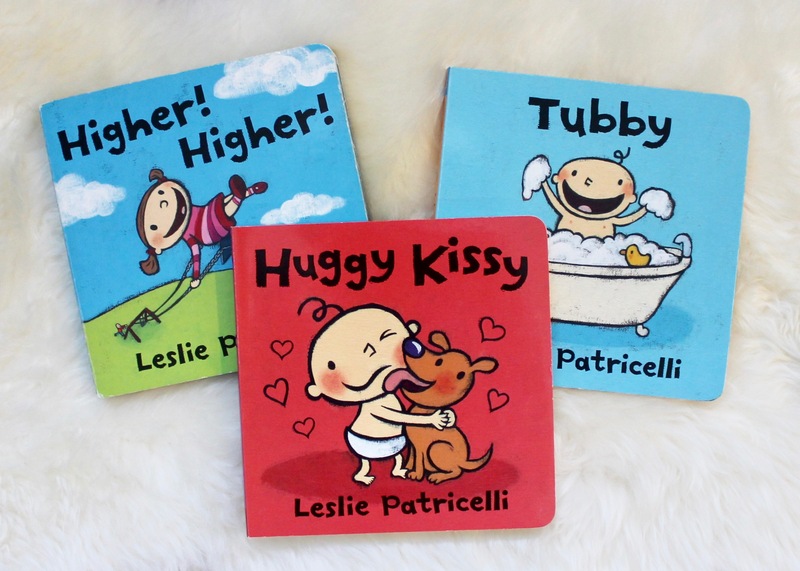 Author Leslie Patricelli has a number of beloved board books that are very popular in our household, including “Higher, Higher” and “Huggy Kissy“. 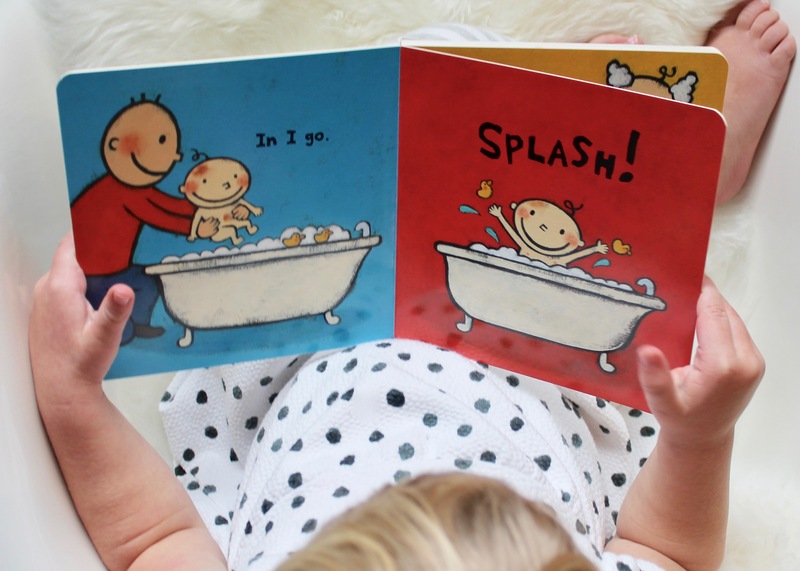 Most of her stories showcase an adorable baby character enjoying everyday childhood rituals in a fun and playful way. 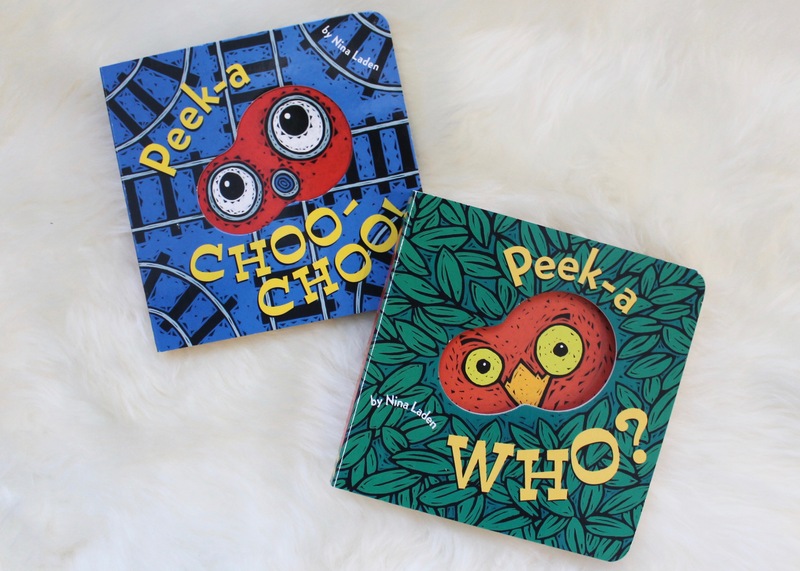 Her simple text and expressive illustrations are perfect for your littlest readers. 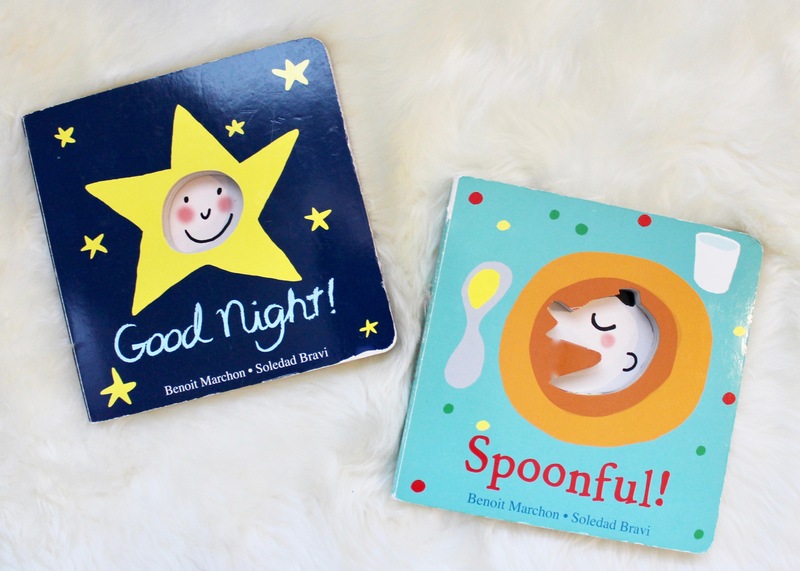 Both “Goodnight” and “Spoonful” board books by author Marchon feature a die-cut opening that engages reader from page to page. 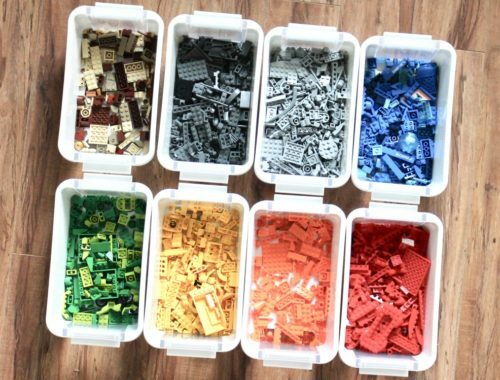 Their repetitive nature, along with the colorful pictures, are sure to be a hit. It is no surprise that these are always at the top of my daughter’s bedtime reading list. 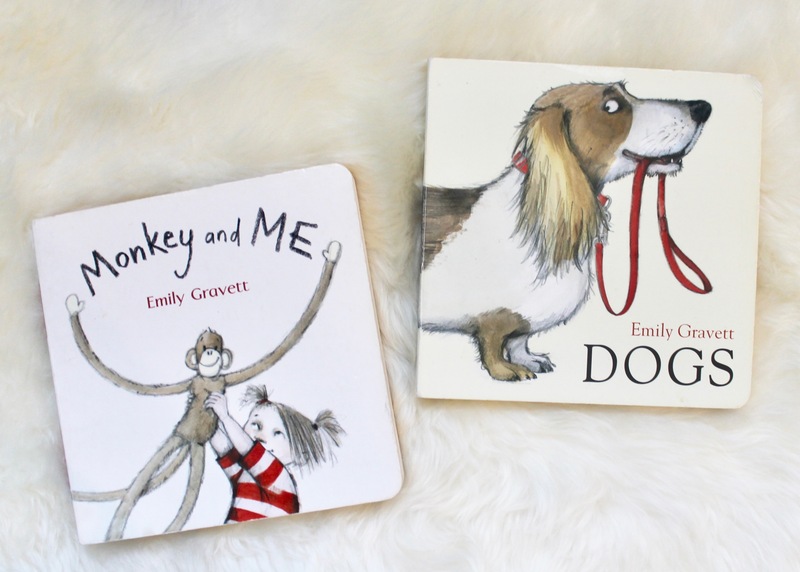 We learned about author Emily Gravett after attending a story time at a local community center when my son was two years old. After hearing “Monkey and Me“, we immediately picked up our own copy and made sure to check out her entire collection at the library. Her beautifully drawn characters and thoughtful stories are sure to delight both you and your children alike. “Dogs” is another one of these titles you will want to check out. I encourage you to get out to your library or bookstore and stock up on these toddler favorites. 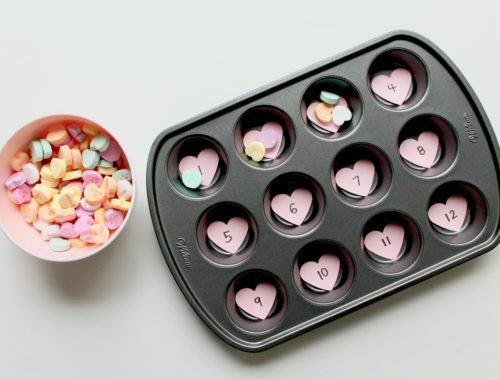 And while you are there, grab something for yourself. 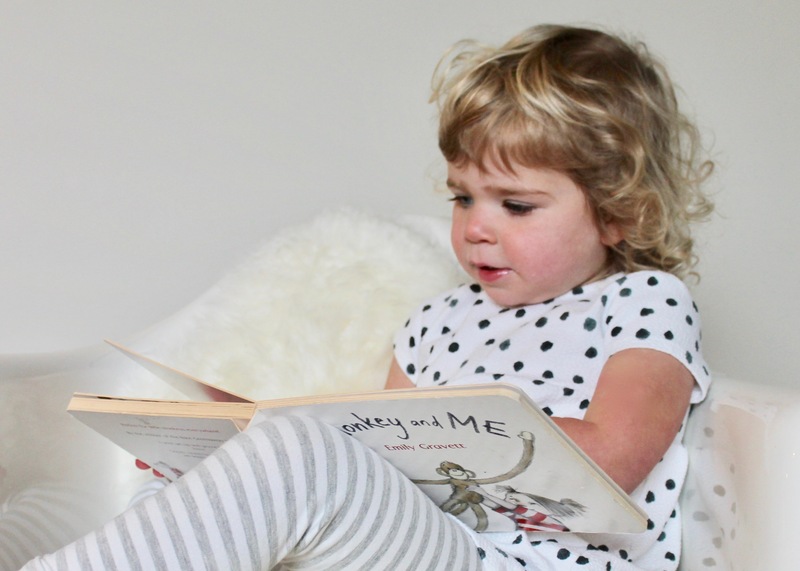 While I know all too well how hard it is to sit down with a book as a busy parent, modeling this behavior may be the best way to encourage your little ones to take up reading. Maybe start with a couple minutes and work your way up to a full ten minutes of quiet reading. Talk about goals! Good luck!